What started out many years ago as a tiny freelancing website for people to use as a way to make some money through side-gigs has now grown into a global online marketplace where people have quit their day jobs to run their businesses full-time. This juggernaut known as Fiverr continues to grow rapidly with more and more people offering all sorts of products and services through this platform all across the world. Just about any type of service is available. Fiverr has become such a massive tool for users that anyone who hasn’t found some use for it is likely missing out. There are so many opportunities available for freelancers to make a handsome or life-changing income. In this guide which complements the How To Make Money On Fiverr videos, You will learn just how beneficial Fiverr is, no matter if you are buying or offering services. You will discover the variety of methods available to make money off Fiverr, the pros and cons of this incredible site, how to offer high-end services for even more money, using others to up your game, building your assets and much more. There are people offering every type of service from coding to SEO to web design to graphic design to interior design to translations to voice-overs to data entry and much much more. 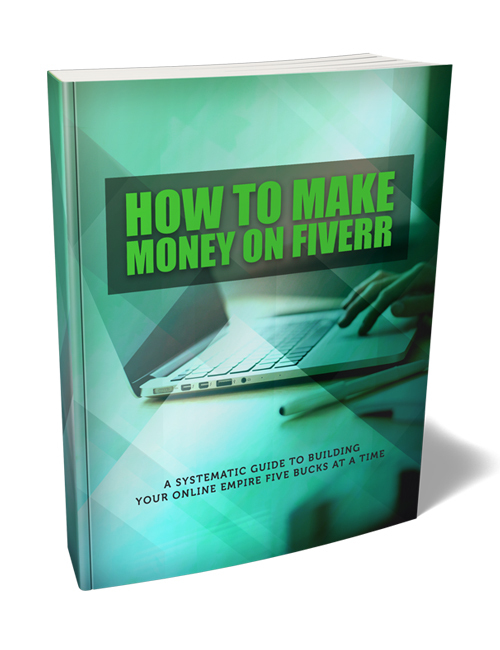 If you’re still on the fence on how to make Fiverr work for you, this is the guide you need. Get it now. Package includes a professional sales-letter and ready-to-go sales materials.